FREE Italian audio-courses! 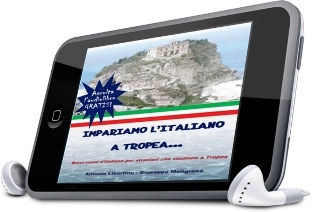 | Speak Italian Magically! If you want to improve your listening skills and your speaking skills in Italian you need to listen to it for a relatively long time! And to improve your Italian (or any other foreign language you are about to master) you need to immerse yourself in what linguists call COMPREHENSIBLE INPUT, that is all Italian you listen to and understand. So, according to some trainers you need a lot of passive listening, according to others you need a lot of active listening. And here it came to me to think, why can’t you do both? In other words, why don’t you do both passive listening (when you listen to Italian while doing something else) and active listening (asking yourself a lot of things, or answering to as many questions as possible)? And this is what moved me to create a lot of free podcasts in Italian, so that you can immerse yourself in the language - for free! Of course, I would be grateful if you liked this page on facebook, or shared it with your friends. Most audios are downloadable and you can listen to them for free, no strings attached, so enjoy! 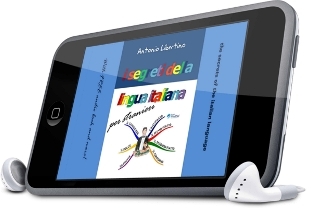 And if you want to make them more comprehensible, please notice that you can find the texts of them (as book or eBook) in many online bookstores for a very affordable price. 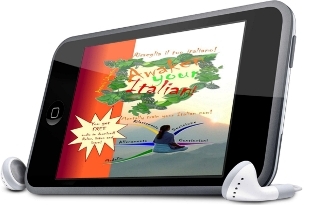 Because I want you to enjoy the process of learning the Italian language! Relax and enjoy the journey! Rilassati e goditi il viaggio!